Description : Official Slone art limited edition MGM Grand commissioned onsite poster from the Light/Welterweight title showdown at the MGM Grand Garden Arena in Las Vegas. This was Hatton's 1st trip back to Vegas after his defeat to Floyd Maywether Jr, he was up against the talanted New York stylist Paulie Malignaggi. In the 1st round Malignaggi started off the fight well, winning the round by utilising his jab and getting a rhythm, However in the second round a massive right by Hatton shook Malignaggi right down to his toe nails and he had to hold on for the rest of the round. 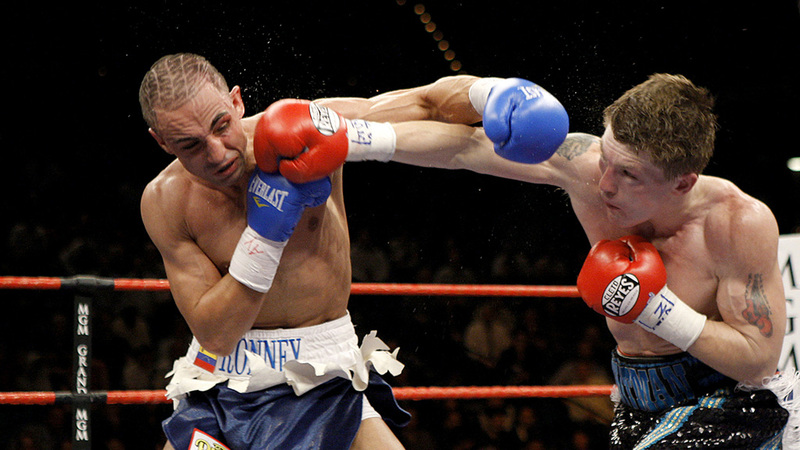 From then on, it was all Ricky Hatton, who took complete control of the fight and won all the other rounds, with more big shots and combinations, until Malignaggi's trainer, Buddy McGirt threw in the towel in the 11th round. McGirt had warned Malignaggi in between rounds that if he didn't do better in the next round he would pull him out and he stuck to his word. Malignaggi protested and pushed his trainer away. 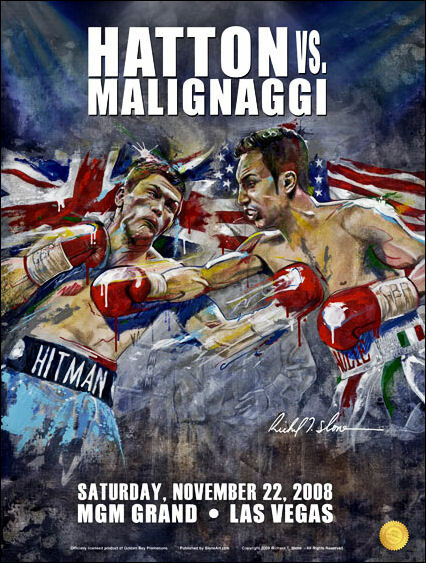 However the final scores of 99-91 from all three judges proved that Malignaggi was a street behind & not exactly known for his KO power, and was never going to defeat Hatton on points.